In a nutshell, the Bible says that "... Philip went down to the city of Samaria, and preached Christ unto them" (Acts 8:5). 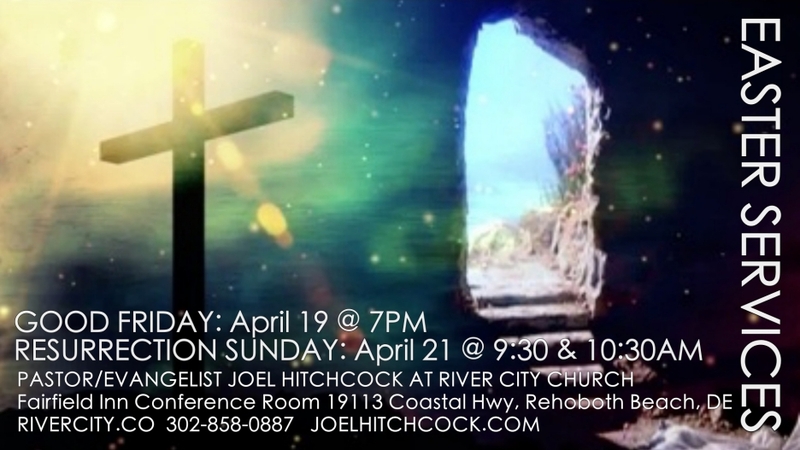 Likewise, River City Church is centered around the Person of Jesus Christ: To know Him in the Word, and in the Spirit. Bible Prophecy: Much prophecy fulfilled in 70 A.D., Jesus still coming literally and visibly (Matthew 24, 1 Thess. 4:16-17). We believe in life after death (2 Cor. 5:8, Luke 16:19-31,) in heaven and hell, and that is is appointed unto men once to die, but after this the judgment (Hebrews 9:27). We believe all have sinned and come short of the glory of God (Romans 3:23). That the wages of sin is death but the gift of God is eternal life through Jesus Christ our Lord (Romans 6:23). And that God so loved the world that He gave His only begotten Son, that whosoever believeth in Him should not perish, but have everlasting life (John 3:16). We believe that Jesus is the way, the truth and the life and that no man cometh unto the Father but by Him (John 14:6) and that there is no salvation in any other: for there is none other name under heaven given among men, whereby we must be saved (Acts 4:12). We believe in the atonement and in the death and resurrection of Jesus Christ (1 Cor 2:2; 15:17; 1 John 2:2, 4:10; Heb. 9:22), that as many as receive Him, to them gave He power to become the sons of God (John 1:12, 1 John 5:12-13). We believe that if thou shalt confess with thy mouth the Lord Jesus, and shalt believe in thine heart that God hath raised Him from the dead, thou shalt be saved, and whosoever shall call upon the Name of the Lord shall be saved (Romans 10:9-13). We believe in prosperity and in God's provision. We believe that the believer's lifestyle should be free from covetousness (Hebrews 13:5) and that no man can serve both God and Mammon (Matthew 6:22) for the love of money is the root of all evil (1 Timothy 6:10). We believe that Jesus came that we may have life abundantly (John 10:10,) that the Lord has pleasure in the prosperity of His servant (Psalm 35:27) and that it is God's wish for His People that they prosper (3 John 1:2). We believe that God loveth a cheerful giver (2 Corinthians 9:7,) and that God opens the windows of heaven to those who honor Him with their tithes, their substance and with the first fruit of their increase (Malachi 3:10, Proverbs 3:9). We believe that we must all appear before the judgment seat of Christ; that every one may receive the things done in his body, according to that he hath done, whether it be good or bad (2 Cor. 5:10), of which Scripture teaches that I saw a great white throne, and him that sat on it, from whose face the earth and the heaven fled away; and there was found no place for them. And I saw the dead, small and great, stand before God; and the books were opened: and another book was opened, which is the book of life: and the dead were judged out of those things which were written in the books, according to their works (Revelation 20:11-15). We are a non-denominational apostolic church. For more of Pastor Joel Hitchcock's teachings, go to www.joelhitchcock.blogspot.com or www.joelhitchcock.com.